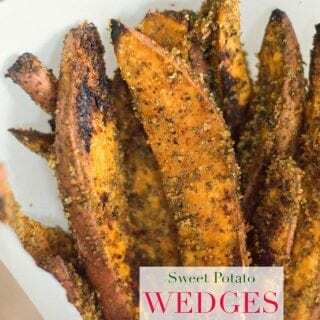 Vegan Sweet Potato Wedges Recipe – They are quick and easy snack to make. Takes only 5 ingredients and are also perfect as a thanksgiving side. I just love sweet potatoes! There is nothing more delicious than a sweet potato crusted with panko crumbs, spices and then roasted in the oven! It was one of those days that I just needed a comfort food snack that ca be made in 20 minutes or less. I opened my fridge and noticed that sweet potatoes were staring at me! If this was Alice in Wonderland, the sweet potatoes would have “Eat Me” written on them! Who am I to deny such a simple request! At first, I thought of turning them into French fries but felt too lazy to fry them. All that frying and messy cleanup just felt like too much work. The baking option sounded much more appealing to my inner laziness. No messy clean up! 5 ingredients and 20 minutes later, I had this delicious vegan sweet potato wedge recipe ready to be devoured. It was ridiculously easy to make with minimal effort! The only effort required on my part was to cut the sweet potatoes into wedges. The official reason for leaving the potato skin on is that it is healthier. The unofficial reason? I was too lazy to want to peel the skin. Too much work. All I needed for this recipe was sweet potatoes, olive oil, panko bread crumbs, oregano and parsley. I decided to bake them instead of frying because they just taste better that way. The panko crumbs I used are vegetarian, but, you can also go with vegan panko crumbs. When I ground the dry ingredients together and opened the lid of processor, a wonderful aroma filled the room. It is an heady aroma of spices and bread. For just a moment, I felt like I was in Italian hillside kitchen. 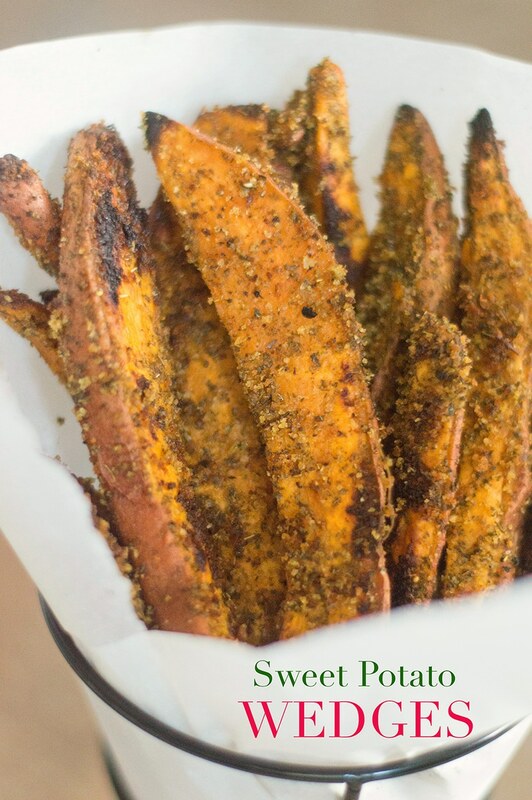 Vegan sweet potato wedges are the perfect way to snack healthy. The panko crumbs are the star of this recipe and work so well with sweet potatoes. I think I would like to add some garlic powder next time I make it. Now, I am going to go to enjoy this with a glass of white wine on my balcony and pretend that I am overlooking the vineyards of Italy. I made a video that for this recipe below. As you can see, it is so easy to make it, so, make it for dinner tonight and send me photos of your recipe. 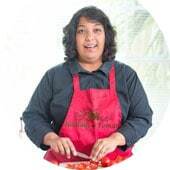 It always makes me happy to see people personalize my recipes and come up with amazing variations. 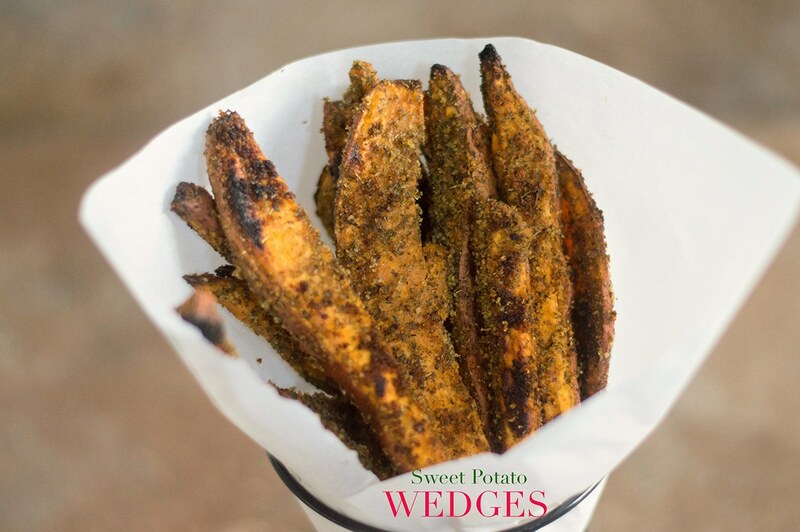 These vegan sweet potato wedge recipe also works great as a side dish to your main meal. What is your favorite way to server them? 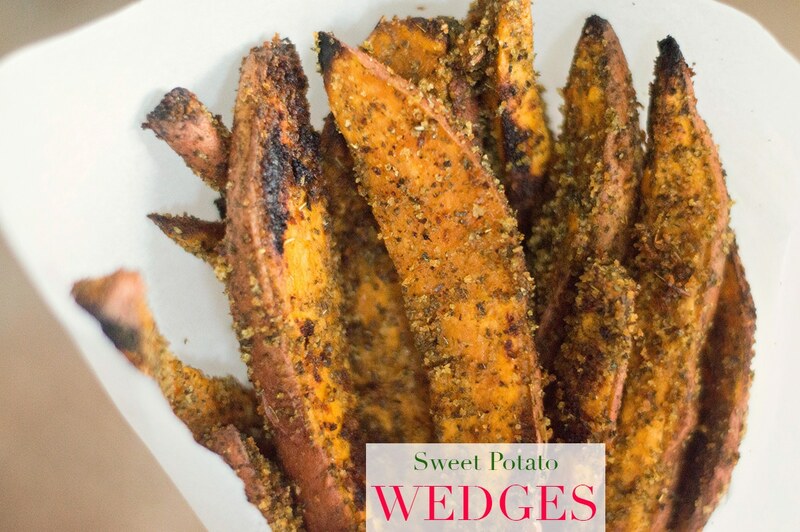 Serve these sweet potato wedges with ketchup or avocado dressing! Grind on low speed until it is finely ground. Place in the oven and bake for 15 - 20 minutes. I just found this recipe as we harvested a ton of organic sweet potatoes and I was running out of ideas to prepare them. It was so fast and so easy and so yummy! I didn’t have panko so I used the suggestion of crackers. I ground up Dr.Krackers organic seed crackers as a substitute and prepared it a half hour before walking out the door to a gathering! Thank you for sharing! Thank you, Valerie. I really like your use of crackers. Your take on this recipe sounds really delicious. I love sweet potatoes! I gotta try this!!! I love learning new ways to cook sweet potatoes!! I’ve had sweet potato wedges plain but never breaded. Going to try! Thanks. Thank you, Nancy. It was delicious when breaded. Let me know what you think of it.